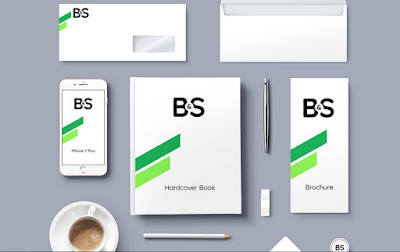 Friends, this is a free PSD mockup of branding and stationery set that will help you present your design to your clients in a professional way. You can easily edit and add your own identity design using the smart-object layers. The template includes several popular branding elements such as envelopes, iPhone 7 Plus, Hardcover book, brochure, business cards, coaster, badges, pen, pencil, eraser and coffee cup.